Scott Hayton, Director at Hutchings Consultants gives his view on the implications of the funding cuts. “The decision by the Government announced by PSNC on Thursday 20th October has dashed the hopes of pharmacists, patients and other stakeholders across England, that the new pharmacy minister Mr Mowat would listen to the opinions, independent data and various petitions that have presented and gathered huge momentum across England over the last 10 months. Having studied the figures released by PSNC on Thursday, the announcement appears to have confirmed the longstanding expectation within the market that the average pharmacy’s bottom line profit will be hit by around £15,000 following the cuts. In addition it has also confirmed that there will be further cuts in next year’s budget for 2017 – 2018. 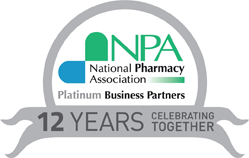 In considering how this may affect pharmacy values, the response from the market since the news in December 2015 has been generally positive with most buyers demonstrating an up beat attitude. The last 10 months have been extremely busy within our market with significantly more transactions handled this year. Interest from buyers and subsequently prices have remained extremely high for good quality pharmacy businesses and we saw very little impact on price, within this category of pharmacy. Now that the market has been able to determine the effect on profits more clearly and the fact that this has fallen within expected levels based on the announcement last December, we feel that the market will remain buoyant going forwards, with demand for pharmacies still outstripping supply. However there may be a degree of price adjustment over the next few years. In terms of the upcoming Cat M claw back, whilst the market sees these adjustments on a regular basis, it will make the next few months for pharmacy owners much harder and add to cash flow difficulties just when the effects of the cuts begin to pinch. Our feeling is that the majority of the buyers within the market are taking a long term view on their investment and whilst these cuts are a concern, the desire to acquire and grow is still very much present. Whilst the cuts obviously reduce profits which logically reduce value, we believe there will be several factors that will help to buoy goodwill prices over the next year and maintain market stability; There is going to be further tightening of the regulations around the opening of new pharmacies. This may help existing contractors with for example; two shops near to each other to close one down and consolidate. In doing this we expect the government will make it more difficult to open new contracts as well – so combined with the consolidation, we expect to see in the long run, a reduction in the number of pharmacies relative to the number of people looking to acquire. 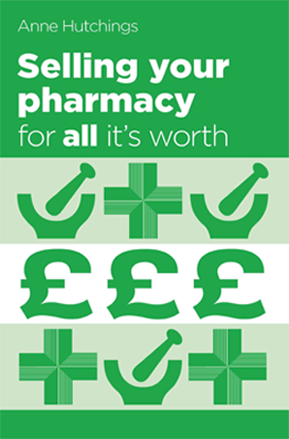 Efficiencies will be sought within each pharmacy in order to reclaim some of the lost profit and it is fairly likely that there will be at least some effect on staff remuneration across the market. New income streams and patient services will also need to be introduced. These efforts will be difficult for most pharmacy owners but will help to reduce the effects of the cuts and go some way towards maintaining profitability. It is also logical to assume that if there is any impact on pharmacist remuneration and locum rates within the market, it could spur the affected pharmacists to pursue the acquisition of their own business, subsequently increasing demand within the market further. Looking at the wider picture across the UK, it is interesting to theorise around the effects of these changes in the English pharmacy budget and profitability, on goodwill values for pharmacies located over the borders into Wales and Scotland. It is quite likely that buyers across the UK who are in a position to do so, would increase their focus on these markets and we could see an increase in goodwill values generally for Wales and Scotland but particularly those nearest the borders with England.